Club Penguin Cheats by Mimo777 Club Penguin Cheats by Mimo777: New Club Penguin Message from G! Cool! 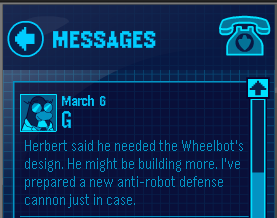 Gotta love an "anti-robot defense cannon," right? cannon? whoa, G. and also, mimo, there is a facepaint glitch. when you click on someone wearing blue face paint, it will show a really tiny thing of what it is supposed to be on their nose. Off topic: Why is there a different music on Card Jitsu Water? Could it be the Card Jitsu Snow music and they put it by accident? Hey Mimo,there is a new field Op and it's in the recycle plant.With this new field Op we got a new game for field Op's.Saweet! hey mimo i just found out that the same thing that happened at the dance club last year with the menu items and the not good haiku well i was playing cardjitsu and the same thing happened! check it out! Hey mimo, this "cannon" most likey wont have any to do with a certain "to do list", would it? Hey Mimo, in the hq, when you watch the tv, it says a message if u r on the channel with the two penguins talking. Also, wat if the tubes in the background of the pet shop lead to tube transport, and there is a new secrte entrance to hq? Hey mimo!! I think that that cannon will be the new puffle launch game!!!!! whoa. is G. a serious? cannon? maybe the cannon will be available in system defender. This is a little off topic but Mimo777, there's different music in card jitsu water. Mimo777, are you still alive? You haven't made a real blog post for a few days! mimos already posted that but thanks for remieding us!!! !